Luis Gutierrez, Site-Construction Manager, P&G points to the construction site in Martinsburg. 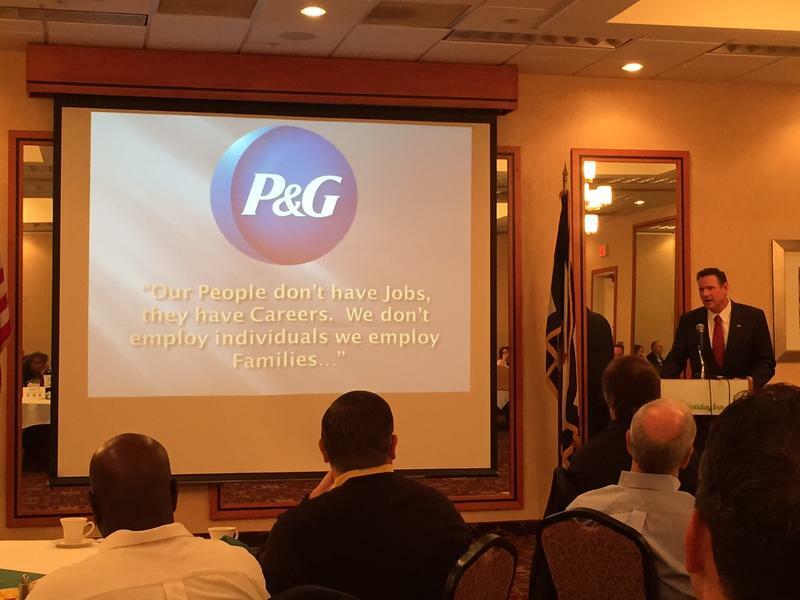 Procter and Gamble in Martinsburg has hired its first 26 employees and expects close to 300 by the end of 2017. Those employees will work at the manufacturing facility being built in the Eastern Panhandle that was announced last year. 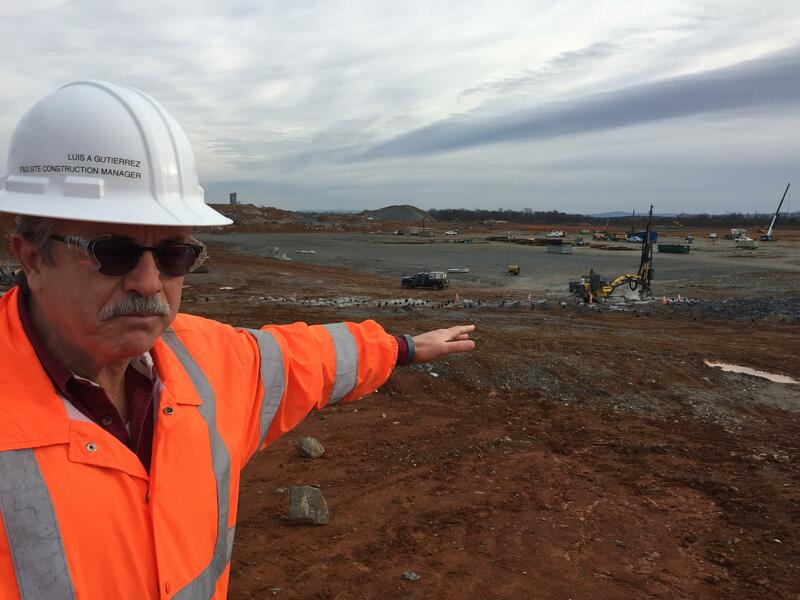 Since breaking ground in September 2015, construction for the 25th Procter and Gamble site in the United States is well underway. The facility will be the company’s first in West Virginia and the largest P&G manufacturing site built in a decade. When it’s completed, it’ll cover more than one million square feet. P&G employees will be manufacturing products in Martinsburg like Pantene, Head & Shoulders, Bounce, and Old Spice Body Wash.
By fall 2019, company representatives say they expect the facility to employ around 700 people in total. The first 26 employees were hired over the last three months. 32 year-old Scott Johnson is one of them. Johnson is an Air Force veteran and formerly a mechanic from Beckley. He was hired as a plant technician and moved to Hedgesville with his family in 2015. He says he chose to move to the Eastern Panhandle because of economic opportunities. P&G is also working with Blue Ridge Community and Technical College to train its new workforce. The company will pay their employees to go through a specialized program developed for the site. The first bit of concrete is expected to be poured on the Martinsburg site in January. *Correction: This post was updated on December 14, 2016 to reflect the Martinsburg Procter and Gamble site as the 25th P&G plant built in the United States. A correction was also made to reflect "Old Spice Body Wash" as a brand that will be manufactured on the site. 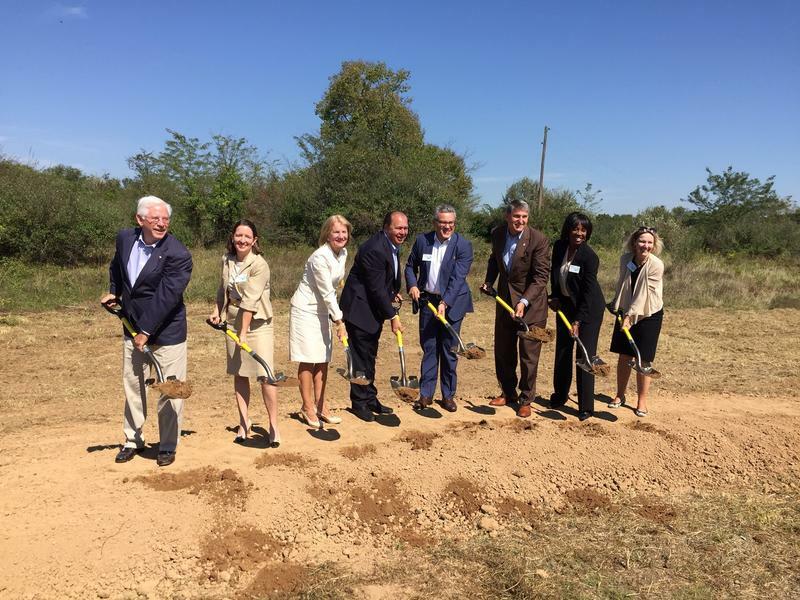 The highly anticipated Procter and Gamble site in Berkeley County broke ground Friday. And starting October 1, 2015 job applications will be available online. 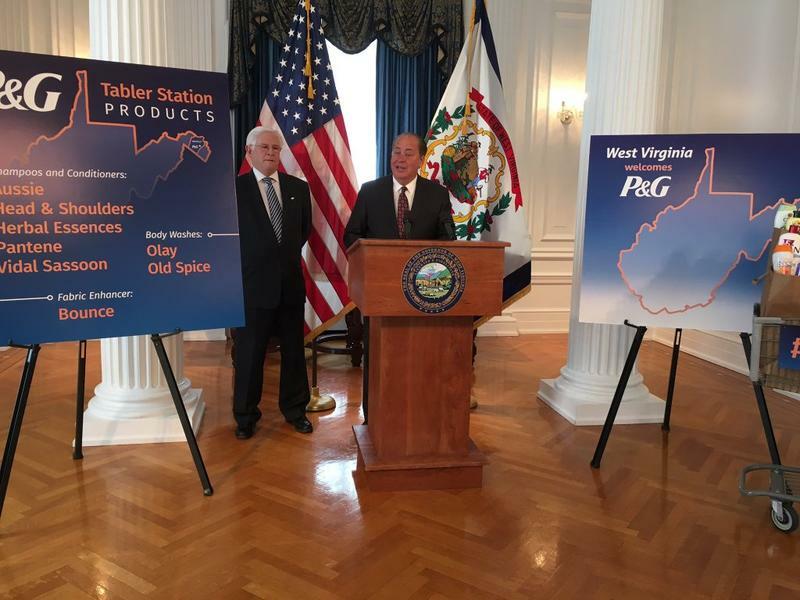 Procter & Gamble will make laundry, hair care and body wash products at a plant it is building in West Virginia's Eastern Panhandle. The Cincinnati-based consumer goods company's new $500 million manufacturing hub near Martinsburg is being built to improve access to East Coast customers. 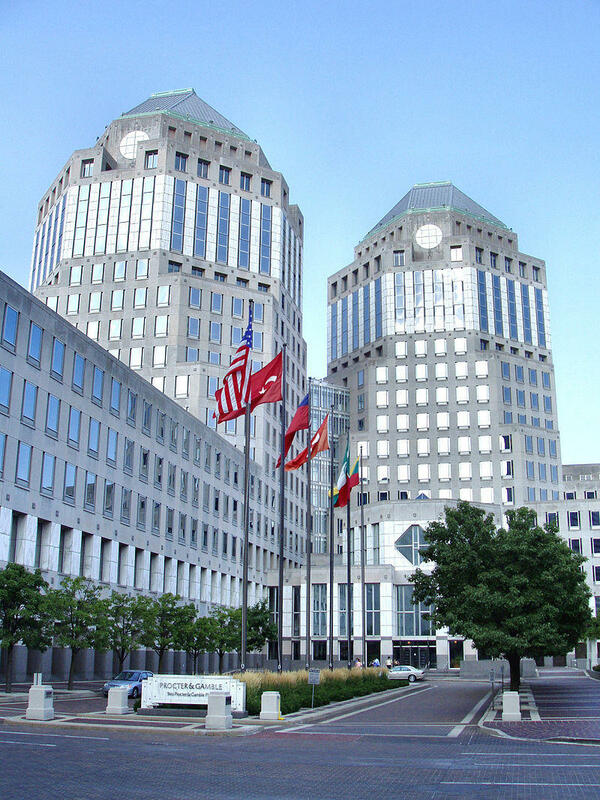 P&G expects to employ 700 full-time workers there. Proctor & Gamble has joined a voluntary state program to address a pesticide found at the site of the company's planned manufacturing plant in Berkeley County. Proctor & Gamble says in a statement to The Journal that a soil study found trace amounts of a pesticide used in the 1950s at the site. The company says there's no reason to believe there is a health hazard. Groundbreaking for the new Procter & Gamble Company in Berkeley County is expected to be this fall. Stephen Christian is the executive director of the Berkeley County Development Authority. In a speech to the community Friday, Christian said negotiations for what became the plans to bring Procter & Gamble into the county began in fall of 2012.